Bd'A – Consorzio Tutela Brachetto d'Aqui D.O.C.G. 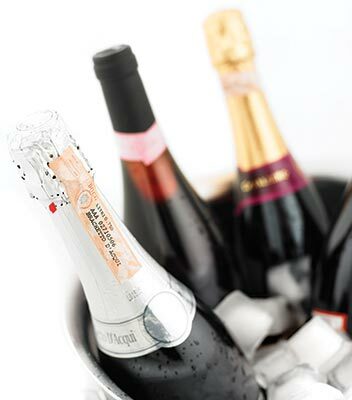 » Enjoy the world cup with a glass of Brachetto in hand! Take an 8 lb. watermelon and cut in 2 equal halves. Take one half and cut into small cubes. Take the other half and scoop out the pulp, place in a blender. 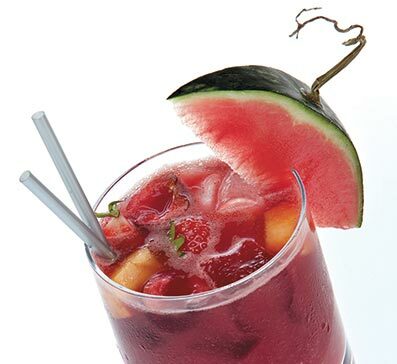 Add 1 tablespoon of Brandy and a few pieces of the cut watermelon and any other fruits (i.e. strawberries, raspberries, peach etc. ), blend on high speed. Pour the blended mixture into the empty half and top with Brachetto d'Acqui D.O.C.G. Store in the fridge for 2-3 hours before serving. “With this hot weather bearing down on most of us, you may just want to enjoy a glass of one of the most delicious - and fun - of all Italian wines, Brachetto d'Acqui. Combine that moderate degree of alcohol along with the fresh, fruity, floral aromas and you have a wine that is perfect with fresh fruit or chocolate - two things Piedmont is famous for - as an after-dinner treat. This is wonderful the year round, but it is especially charming in summertime. Do yourself a favour and enjoy some fresh strawberries or peaches with a glass of Brachetto. The trick here is to drink these wines young; and it's best to enjoy the freshness of this wine before that fades away”.